"These are just planks of painted plywood nailed to the supports for the loft above. They create perfect cubby spaces to store books, baskets and even small lights". Clever idea. 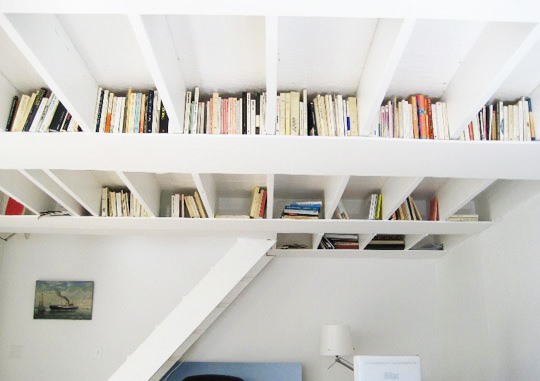 More small space shelving solutions. Previously, Why Not Swing Indoors?